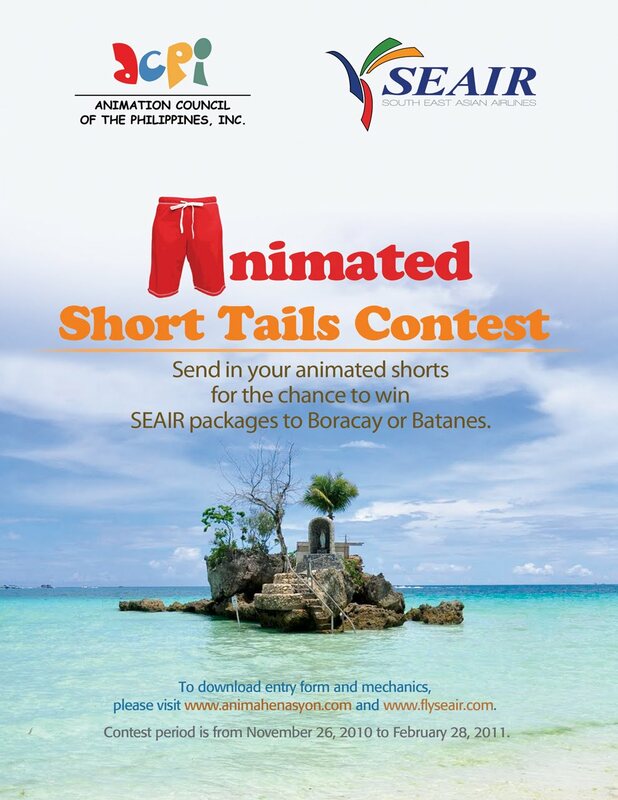 Join SEAIR's "Animated Short Tails" animation contest and you might just win for yourself a vacation package for two to Batanes or Boracay! South East Asian Airlines (SEAIR) and the Animation Council of the Philippines, Inc. (ACPI), invites professional and student animators to join the contest. Animations should promote SEAIR and its destinations. They can be in cel animation, line drawing, stop motion objects or animated objects, stop motion puppet, stop motion clay/claymation, sand on glass, paint on glass, cut-outs, pixilation, 2D computer/flash animation, 3D computer, or a combination of the above forms. Works must have a total duration of 30 seconds. 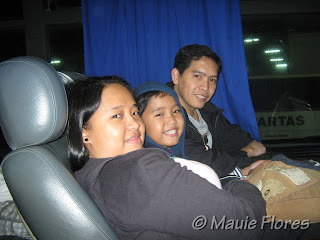 The deadline for submission of entry forms and related materials is on February 28, 2011, Monday. Participants in the school division should provide a photocopy of their valid school IDs and school registration forms together with the entry forms. 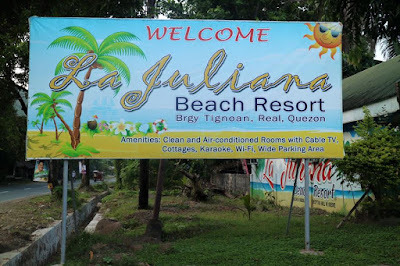 SEAIR will also give away a Boracay roundtrip ticket to the entry with the most number of “Likes” on the SEAIR Facebook Fan Page. A link to the entry must be posted on the wall at facebook.com/flyseair before 11:59 p.m. of February 28, 2011. 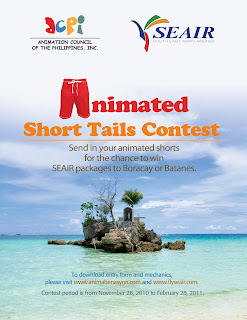 For inquiries on entry submission and “Animated Short Tails” contest rules, please contact the ACPI at 817-2727 local 108 or email: animahenasyon@gmail.com and check updates in SEAIR’s Facebook page at facebook.com/flyseair.